We’d like to show you a very special Lamborghini. 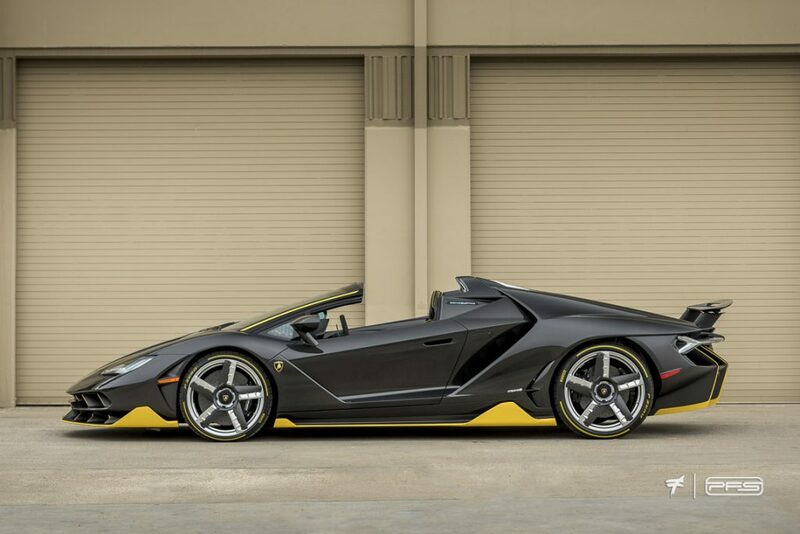 What we have here is a Lamborghini Centenario Roadster. Technically, all Lamborghinis are special. But, then there’s this. This is a car from a line that Lamborghini calls FEW OFF. This is because, well, they make only a few of them. Production is limited to only 40 cars. 20 of them are coupes and 20 roadsters like the one you see here. 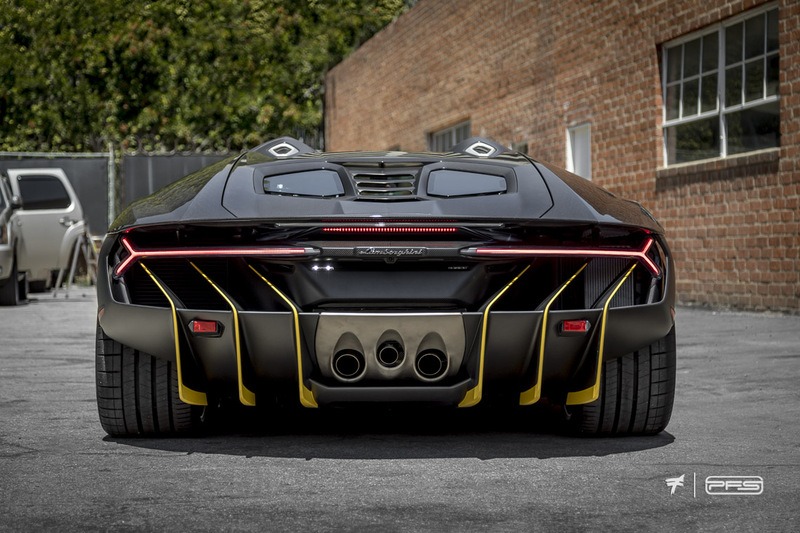 The Lamborghini Centenario comes from the same low production lineage of the Reventon and the Veneno. It’s that special. Lamborghini calls it the perfect car. 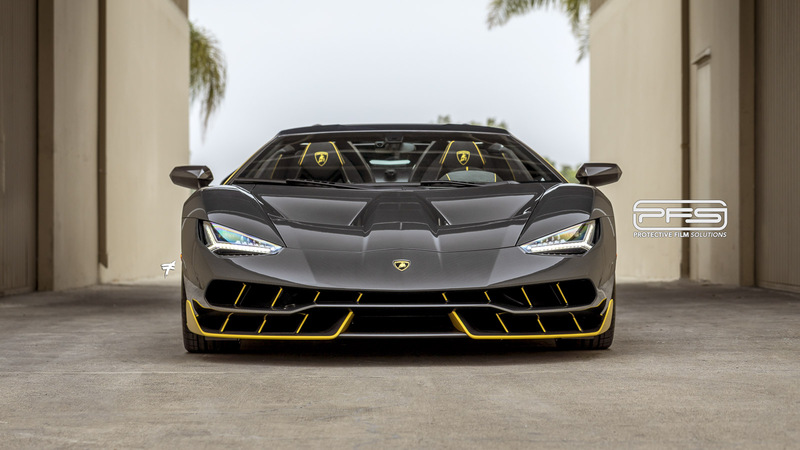 The Centenario name is based on the fact that the car was built to celebrate 100 years since the birth of Ferrucio Lamborghini, founder of the iconic brand. Both the chassis and body are made from carbon fiber. The chassis is monocoque construction with the body in molded carbon fiber body panels. If you look at the gallery on the Lamborghini website, the cars on display all feature an unpainted carbon body. All of them have the dark smoke carbon fiber body, with only special order accent color changes on the lower aero components distinguishing them from each other. Of course, you don’t just buy a car like this. When only 40 are ever made, you must be highly connected and be offered a special invite in order to purchase one. This comes from a very long standing relationship with Lamborghini. Most buyers place a deposit on the news of the car’s development, without ever seeing the car until its completion. The engine is a 6.5 liter 60º V12 with Multi Port Injection and an output of 759 horsepower. The power comes down with a torque of 507 lb.-ft. at 5500 rpm. This amount of power needs a matching brake system. To give you an idea, the front brakes are 6-piston caliper carbon ceramics with a disc diameter of 400mm — That’s a diameter of 15.75 inches. I’m sure you want to know what the snap-neck 0-60 time is. That’s 2.8 seconds as per Lamborghini. Top speed is 217 MPH. It’s not the fastest car in the world, but it doesn’t need to be. Each car is numbered CENTENARIO 1 of 20 (1 di 20 in Italian) with a special number plate. The same thing applies to the coupes. The profile view is something else. The car featured here is one we protected with XPEL ULTIMATE PLUS PPF film. A body such as this has to be protected with the best material in the business. The installation needs to be done by craftsmen PPF installers. The owner of this very special car looked to us to protect the finish of this rare gem. The video you see here is from SEMA 2018. The car graced the XPEL booth as one of the select few hypercars to highlight the Vegas show. We’d like to give XPEL special thanks. We put our usual passion into the work on this very unique piece of automotive history, but without them this would have not been possible. Photos by Ted 7. 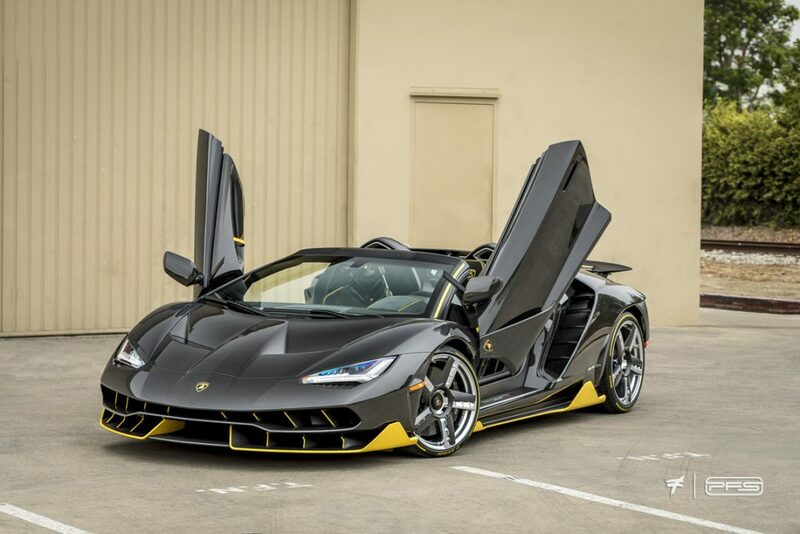 For all the details on how we protect the finish on multi-million dollar cars such as this Centenario, visit our Paint Protection Films service page.